Colleen J. Shogan has been reading mysteries since the age of six. She conceived of the plot of her first novel one morning while taking a walk in her suburban Washington, D.C. neighborhood. A political scientist by training, Colleen has taught American politics at numerous universities. She previously worked on Capitol Hill as a legislative staffer in the United States Senate, and as Deputy Director of the Congressional Research Service at the Library of Congress. She currently serves as the Library's Deputy Director of National and International Outreach. Colleen lives in Arlington, Virginia with her husband Rob and their beagle mutt Conan. She is represented by Dawn Dowdle of the Blue Ridge Literary Agency. 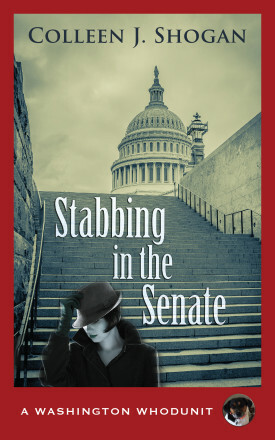 "Stabbing in the Senate" was awarded the Next Generation Indie prize for Best Mystery in 2016. 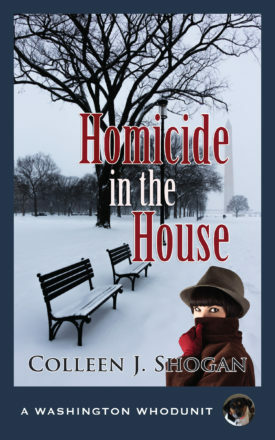 "Homicide in the House" was a 2017 finalist for the RONE Award for Best Mystery. Conan the dog, once voted Dog Most Likely to Succeed by Capitol Hill insiders, serves both as muse and cameo participant in the Washington Whodunit series. He is known better by fans of the Washington Whodunit series as Clarence. 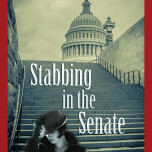 Check out the trailer for Stabbing in the Senate! 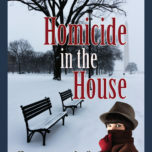 In the debut Washington Whodunit mystery, congressional staffer turned amateur sleuth Kit Marshall discovers the body of her murdered boss, a United States Senator. 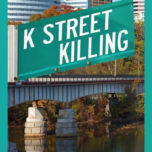 With Capitol Hill as the backdrop, Kit and her pals race against the clock to uncover the killer. When the Speaker of the House’s top aide ends up dead during a government shutdown, Kit must find the culprit before her new boss gets fingered for the crime. No one can be trusted as Kit and her trusted sidekicks navigate the deadly corridors of Congress to solve the crime and the political crisis. While spending a few days at a high society club in Washington, Kit stumbles across the dead body of a wealthy philanthropist. To clear her future father-in-law of all suspicion, Kit must dive into action to stop a mastermind who knows poison even better than politics. 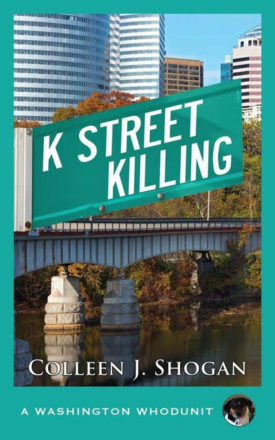 When a Capitol Hill fundraising soiree ends with a powerful K Street tycoon mysteriously tumbling off a rooftop, congressional staffer Kit Marshall must find the killer before her boss’s election season derails.